As I am typing this, Ashley (my wife) is in the other room watching The Bachelor with my sisters. I tried. I thought I could make an “investment” in our marriage, spend some “quality time” with my sisters by being with them tonight. Instead, I got “banned from the room for two hours.” Apparently, they like their bachelors without a commentary track. So my dad asked if I’d like to provide a guest post while banished to the back room. Of course I would. I’d love to write to you about how to serve your spouse and make every day better than the last. Unfortunately, I can’t at the moment ask my wife how she does it, because I am on thin ice in the talking department right now. So this is the only advice I have to offer you, the lone reader who hasn’t stopped reading by this point—It’s okay to have different interests and hobbies. For example, I love horror movies, and Ashley loves watching scripted reality shows with my sisters. And never the twain shall meet, as the saying goes. And if that’s not a saying, it should be. At this point, I’d say that I’m serving my wife far more by letting her enjoy her show without the pleasure of my company. If she wants to go out with the girls or spend some time without me, I do my best to always say yes. Ashley and I do share a lot of the same interests (good wine, the beach, comedies, good wine), and we frequently try new things together. But we’ve also discovered that marriage is for the long haul, we are secure in our love, and we can have separate hobbies without loving each other any less. So as my wife watches her show with my sisters, I believe that am demonstrating my love by staying out of the room and letting her enjoy her time. Also, I believe that her threats were not a joke. This entry was posted in Christian Marriage, Growing Strong Marriages, Guest Post, humor, Husbands, Priorities and tagged ABC News, Arts, Bachelor, marriage, Reality television, Relationships, Sean Lowe, The Bachelor, Wife. Bookmark the permalink. 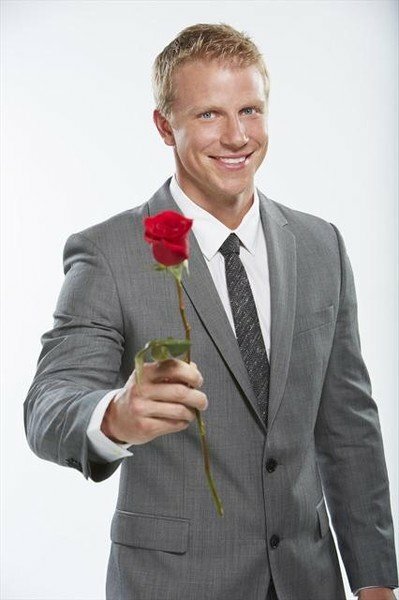 4 Responses to The Bachelor…Husband? It is a saying, a good one. Nice perspective Jason – very encouraging. Love this! And so true. My husband and I do some things together, but we’re also okay with doing things apart. (For instance, I will not watch The Walking Dead, no matter how much there’s a “real story” behind all of the icky zombie stuff.) Loved hearing from Jason!